Particulate matter is a key indicator of quality for injectable drug products. Test methods are being improved with the intent to find the materials responsible for the particle(s). The desired goal of zero defects is not a workable acceptance criterion for visible particulate matter because of current packaging components and processing capabilities. The value of vision inspection systems for elastomeric primary components is shown to mitigate the risk of particulates in finished parenteral drug products. 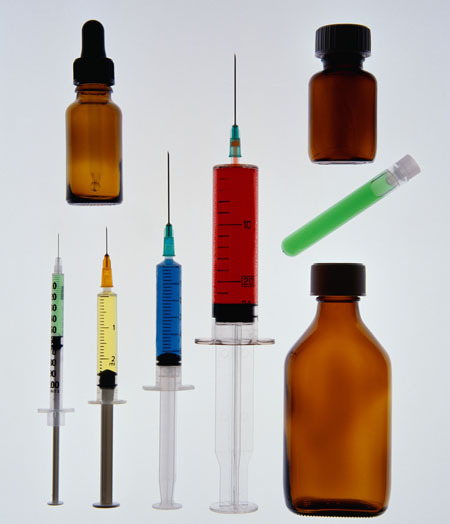 Drugs are increasingly recalled due to contaminants. Mike Schaefers, West Pharmaceutical Services, discusses how to improve the quality of injectable drug products by minimising and controlling sources of particulates from primary packaging components. Particulate matter is a key indicator of quality for injectable drug products. An undissolved particle, other than gas bubbles, unintentionally present in a drug product solution is defined in United States Pharmacopeia (USP) as foreign particulate matter.1 Particulates are considered to be a broad category of material that can be either intrinsic to the drug product or extrinsic, which may result from the manufacturing process. Concerns for patient safety were recognised relative to particulates in parenteral drug products as early as 1940.2,3 The current USP limit for particulate matter was instituted in 1995 and was derived from knowledge based on process capability and methods employed in 1970, which does not reflect the quality concerns for today’s drug products. Within the biopharmaceutical industry, understanding the generation of particulate matter less than 10µm is important since data seem to support the immunogenic effect of smaller particulates, which is not addressed within the USP’s standards.5 The clinical consequences of injected particulate matter continue to be discovered and test methods improved with the intent to find the materials responsible for the particle(s), understand them and make improvements to alleviate drug product contamination. The desired goal of zero defects drives continuous process improvement; however, it is not a workable acceptance criterion for visible particulate matter because of current packaging components and processing capabilities.6 Regulatory expectations for foreign particulate limits continue to evolve and the value of vision inspection systems for elastomeric primary components is shown to mitigate the risk of particulates in finished parenteral drug products. In the current USP monograph, <788> Particulate Matter in Injections, two testing procedures are specified: Method 1 Light Obscuration Particle Count Test and Method 2 Microscopic Particle Count Test. Limits for particles are listed in Table 1. The current USP methods are not necessarily optimal for any particular formula or dosage form; different techniques are needed for different size ranges and sensitivity. Figure 1 illustrates the probability of detection with increasing particle size.8 USP <788> represents a standardised approach that can provide reasonable monitoring of the particle load in the final product form, but when foreign particles are present, even within regulated limits, additional information about their nature and possible origin involves a complete programme for the control and monitoring of particulate matter. Regulatory expectations for foreign and particulate matter in finished drug products: Manufacturers of drug products are confronted with increasing quality standards to produce defect-free products, reduce process/product variation and minimise product rejects. Parenteral drug products intended for injection must meet requirements set forth in USP, but there are still concerns for the risk to patient safety (i.e. phlebitis, occlusions, thrombi, immunogenic/antigenic reactions) and challenges with methodology. Process control based on testing final product is not consistent with modern GMP expectations. The underlying and most important consideration is the level of quality built into the product. The best visual inspection strategy remains probabilistic in regard to defect removal; the only real assurance is provided by a process that generates extremely low numbers of defects. Strategies for continuous improvement would involve mitigation of risk for contamination of finished drug product through upstream controls. 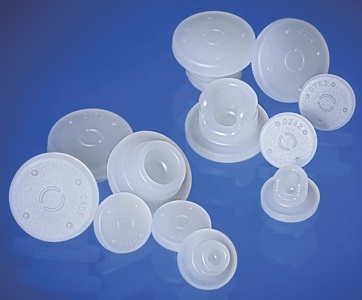 Inspection of elastomeric closures to reduce particles in finished pharmaceuticals: Packaged drug products can contain particles originating from elastomeric closures due the closure environment, manufacturing process and handling. Reducing the particulate load of the elastomeric closure will minimise the risk for undetected particles in finished pharmaceuticals and product rejects. The added value to high-quality components is two-fold: greater assurance for patient safety and cost savings resulting from fewer rejects. Preparation and inspection of elastomeric closures for use with a drug product when performed upstream at the closure manufacturer can alleviate concerns of particles originating from these components. Evidence of this has been shown in recent studies using high quality automated vision inspected components compared with standard components. The results demonstrated improvements in the overall quality of the elastomeric component, leading to reduced rejection of the final drug product (Figure 2). Strategies to enhance the quality of component manufacturing: The manufacture and preparation of elastomeric components involves multiple steps that include moulding, trimming, sterilising, inspection, packing and shipping, all of which can affect particle load. An inspection process is a critical aspect to reducing particulates because it verifies specified quality and rejects components that do not meet criteria. Furthermore, the rejected components are examined to provide feedback to the closure manufacturing process for areas of improve-ment. 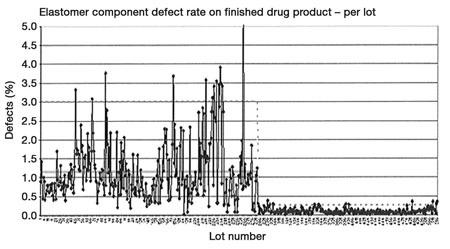 Qualified inspection systems also can detect defective closures that can potentially affect the filling capacity or sealing of the container closure system, compromising the integrity of a sterile drug product. An example of moulding or trimming defects on closures is shown in Figure 3. As the volume of the inspection process increases, so does the data to create effective libraries. Statistical analysis and characterisation of each type of defect allow component manufacturers to gain an enhanced understanding of the defects that occur. Advances in inspection equipment along with a substantial library of defects will differentiate artefacts from defects and provide knowledge to improve processes at the beginning of the manufacturing cycle and prevent recurrence of a particular defect. The goal of manufacturing quality components is not just to monitor for defects but to understand the potential for particle generation. The manufacturing environment and the flow should be designed to minimise exposure to particles consistent with expectations for finished pharmaceuticals. Exposure to particles decreases exponentially in an ISO 5 cleanroom compared with room air (Table 2). Reducing contact with particles at the appropriate time is a proactive approach to manufacturing quality components. Automated vision inspection process for components: Vision inspection machines are programmed to distinguish a quality component from a defective component. Typically, multiple cameras that use bright and diffused illumination are used to detect defects. These defects include stains, tool marks, foreign matter and rubber inclusions embedded or protruding from the elastomer surface. The processing and capability for automated vision inspection systems relies on the preparation of the closure and qualification of the equipment relative to the intended outcome. The automated inspection process occurs after the pharmaceutical washing step is completed in the ready-for-sterilisation process (Figure 4). The end result is a washed product that meets specified limits for bacterial endotoxin, particulate matter and bioburden. After the ready-to-sterilise process, stoppers are unloaded from the washer in an ISO 5 (Class 100) cleanroom. The elastomeric components are then loaded into the vision inspection equipment, inspected and packaged in sterilisable bags or rapid transfer port bags. Bags of product are removed from the vision inspection machine, sealed and labelled in the ISO 5 cleanroom. Depending on defined need, the sealed and bagged products are either placed in cartons for shipping or sent to be sterilised outside the ISO 5 environment. The ISO 5 environment is controlled and monitored for particles in the range of 0.1–5µm/m3 to reduce potential for particulates. To test the reliability of the inspection process, a capability study is performed. For the purpose of the study, a defect library is created to aid in the programming and testing of the machine. The library can be populated based on extrinsic and intrinsic particulate sources and can be customised for specific purposes. Defects used to challenge a vision inspection machine may include hair, fibre, loose particulate contamination, embedded and adhered foreign material, moulding defects and cosmetic defects. The goal is to obtain enough defects per component (Figure 5) to establish a representative defect reference to be included in the library. This assures that the vision inspection machine is consistently detecting specific defects that were created for reference. The greater the knowledge base, the better the detectability of defects. To perform capability testing, component sample sets from the defect library consisting of known accepted product and known rejected product are run through the vision inspection machine. The defects are used to optimise the vision software and challenge the vision system. Finally, the rates of acceptance and rejection are determined for each component and defect category. After capability testing is performed, the defect library is used to verify that the vision inspection machine can detect the standard defects appropriately. In conclusion, manufacturing efficiencies benefit suppliers and manufacturers, and ultimately help to ensure that adequate supplies of needed drug products reach the market. High quality elastomeric components enable upstream controls to reduce particles and rejection of finished pharmaceuticals. 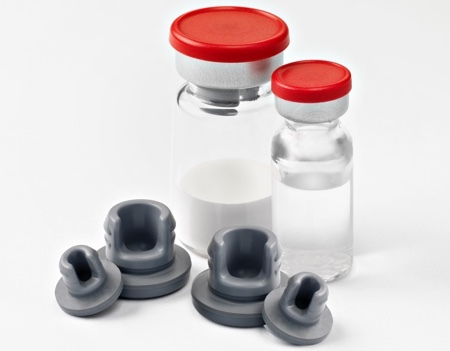 Elastomeric closures for parenteral products, including serum stoppers, lyophilisation stoppers and syringe pistons, can be verified for quality to meet stringent standards using automated vision machines that are designed to examine the external quality attributes of elastomer components. Qualification of an inspection process is critical to ensure reliable detection and understanding of defects, and the knowledge will create multiple opportunities for preventative action and continuous improvements. 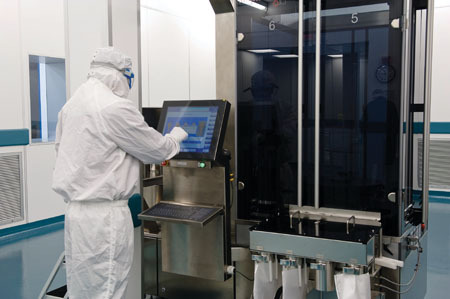 The ultimate goal for a component manufacturer is to build a relationship with the pharmaceutical manufacturer to provide a finished drug product that efficiently and effectively meets the needs of the patient. 1. USP 34 General Chapter <788> Particulate Matter in Injections, United Sates Pharmacopeia, Rockville, MD, 2011. 2. W.C. von Glahn, J.W. Hall. Am J Pathol 1949; 25:575–84. 3. E.J. Bruening. Virchow Arch 1955;327:460–79. 4. B. Pillari, Microbiology Team Leader OGD, FDA, Review of PF 30.6 Particulate Contaminants of Sterile Injectable Drugs and Limits Set by USP General Chapter <788>, USP Workshop on Particle Size: Particle Detection and Measurement, Rockville, MD, December 8, 2010. 5. The Standard, Vol. 8, Issue 3, Spring 2011, http://www.usp.org/pdf/EN/aboutUSP/theStandard2011Spring.pdf. 6. R.E. Madsen, et al. Visible Particulates in Injections – A History and a Proposal to Revise USP General Chapter Injections <1> Pharmacopeial Forum, Vol. 35(5) [Sep.– Oct. 2009]. 7. IBID, R.E. Madsen, et al. 8. S. Aldrich, Historical Perspective and Current Chapters Review, USP Workshop on Particle Size: Particle Detection and Measurement, Rockville, MD, December 8, 2010. 9. S. Langille, Senior Microbiology Reviewer, OPS,FDA, Particulate Matter in Parenteral Drug Products: A Regulatory Perspective, PDA Visual Inspection Forum, Rockville, MD, October 3, 2011.